The story line sounds familiar: a popular pain drug becomes a new way to get high as prescribing by doctors soars. 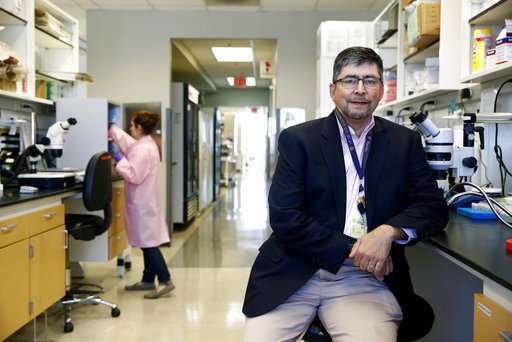 "We're basically squeezing people into other drugs because the prescription opioids are becoming a lot harder to get," said Dr. Richard Dart, who tracks drug abuse through a national data network owned by the state of Colorado. "One of the lessons from this whole opioid crisis is that we probably were too slow to act where we saw problems emerging and we waited for more definitive conclusions," Gottlieb said. "I don't want to be sitting here five or 10 years from now lamenting that we didn't take more aggressive action." 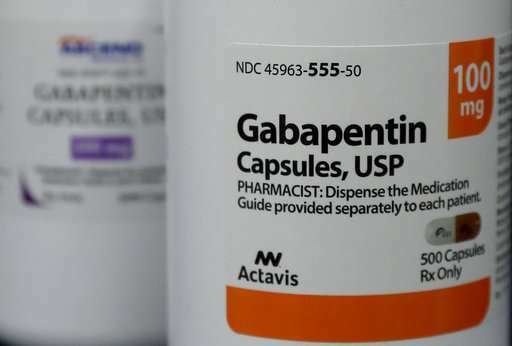 Many doctors aren't aware of gabapentin's potential for abuse, particularly among those with a history of misusing drugs, said Rachel Vickers Smith of the University of Louisville. People tracked in her research describe gabapentin as a "cheap high" that is almost "always available." They report mixing the drug with opioids, marijuana and cocaine to enhance the high, with effects ranging from "increased energy" to a "mellow" numbness. The abuse rate increased nearly 400 percent between 2006 and 2015, according to poison center data analyzed by the RADARS research group within the Denver Health and Hospital Authority, a state-owned health system. 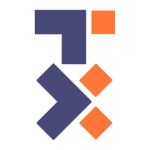 The group's work is funded by drugmakers and government agencies, though they don't participate in the analysis or publication of the data. 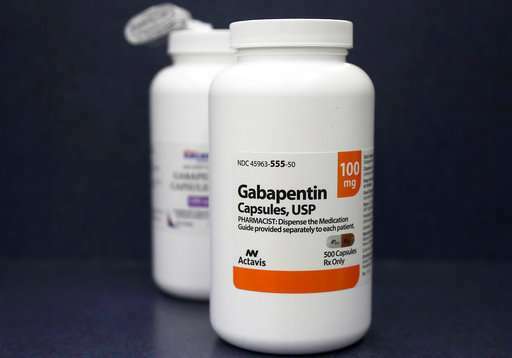 Ohio, Minnesota, West Virginia and several other states have begun tracking gabapentin through their prescription databases. Ohio took that step after gabapentin became the most dispensed drug in the state. State surveys of drug users also indicated it was "extremely easy to get" with a street price around $1.50 per capsule. And given recent restrictions on opioids by hospitals, insurers and government authorities, many physicians are wary of limiting any other medicines that can help treat pain. The Center for Disease Control and Prevention's prescribing guidelines endorse gabapentin as a good choice for nerve pain. But there are questions about how much is being prescribed for proven uses—and to what extent patients are benefiting. A recent review of research by the Cochrane Group confirmed gabapentin's benefits for several forms of nerve pain, but found little evidence of its effectiveness for more common muscle and joint pain. Historically, the vast majority of prescriptions have been for uses not OK'd by the FDA as safe or effective. "This drug was kind of unusual in that it was prescribed as a kind of miracle pill that could be used for anything," said Dr. Joseph Ross, a researcher at Yale University's school of medicine. In a recent Journal of the American Medical Association, he called for new studies of gabapentin's real-world use. The freewheeling prescribing dates to years of aggressive marketing by the drug's original manufacturer, Warner-Lambert. The company pleaded guilty and agreed to pay more than $430 million in 2004 to settle charges that it promoted gabapentin for a slew of unapproved uses, including migraines, attention deficit disorder, bipolar disorder and Lou Gehrig's disease. While doctors are free to prescribe drugs for any use, drugmakers can only market their products for those uses approved by the FDA. Warner-Lambert was bought in 2000 by Pfizer, which continues to sell gabapentin under its original brand-name Neurontin. Pfizer also sells a similar drug named Lyrica, a blockbuster medication approved for fibromyalgia, diabetic nerve pain and several other uses. Unlike gabapentin, Lyrica is a scheduled substance under federal law, in part due to reports of euphoria and other side effects suggesting "abuse potential." "Pfizer recognizes the importance of preventing the misuse and abuse of our medicines and will continue working with regulatory authorities and health officials to monitor the safety of these medicines," the company said in a statement. I took this once, for pain, and it was a 4 hour trip of disturbing hallucinations. No fun at all. et all of these dam little brats and put them to work in the fields picking crops so they can gain some self confidence and find the worth of working for a living. The illegals do it, put our drug addicts in rehab in a farm field.